Category Archives: Texas Is Just Better Than You Are. The condom-related snark from this story writes itself. Filed under Georgia Football, Texas Is Just Better Than You Are. It’s a bold strategy, Tom. Let’s see if it pays off for you. This is the kind of thing you expect from a guy who thinks he’s the smartest person in the room. It does hold down buyout exposure, but it may not work out so well when it comes to his assistants’ complacency for staying in Austin. Gov. Greg Abbott’s State of the State speech was heavy with policy priorities for the Texas Legislature, but he ended his 50 -minute address by throwing his support behind legislation that would require the University of Texas and Texas A & M to get back to playing football every year. Beyond being music to many sports fans’ ears, Abbott’s support was an olive branch of sorts to the bill’s author, state Rep. Lyle Larson, R-San Antonio. Abbott and Larson have clashed on several issues in recent years, most notably ethics reform, and the governor took the rare step of backing Larson’s challenger in last year’s GOP primary. On Tuesday, Abbott said he was inspired by the unprecedented spirit of “camaraderie and collaboration” that he has felt in the first month of the legislative session. “I gotta tell you, I’m feeling it myself. I’m feeling moved, and I want to set an example,” the UT graduate turned governor said, smiling. “I’m willing to step up and put aside past differences and work with Lyle Larson to reinstate the rivalry game between the Aggies and the Longhorns.” Larson, an A&M graduate, filed House Bill 412 to require the schools to meet on the football field on the fourth Thursday, Friday or Saturday of November — returning a marquee matchup between the Texas schools to college football’s rivalry weekend. Man, depriving generations, he tells ‘ya! Sounds like a serious issue. The schools have indicated a willingness to restart the rivalry, but “scheduling nonconference games is complicated”. Might want to un-complicate that, boys. The pols don’t sound like they’re letting this low hanging fruit go unplucked. Filed under Political Wankery, Texas Is Just Better Than You Are. And they still can’t win their conference. The play call Georgia was totally unprepared for. Texas ran this with success all night, it seemed. 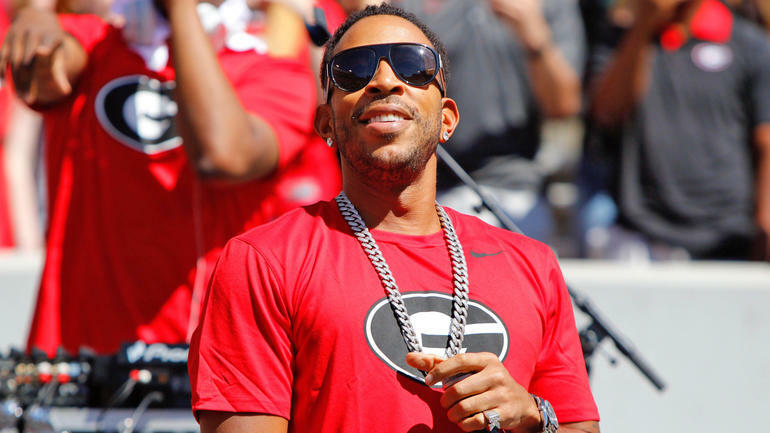 Speaking strictly for myself, if I see the refs throw a flag against Georgia should a player flash the horns down sign, I’m gonna be one POed Dawg fan. Opponents have been known to flip that sign to a “horns down,” the equivalent of a Georgia player taking Florida’s Gator Chomp and doing it after a big Bulldog play. The Big 12 frowned on horns down. So much so that Oklahoma coach Lincoln Riley said before the league title game against the Longhorns that a player doing a “horns down” would draw a penalty, according to the Norman Transcript. The Big 12 said that an “unsportsmanlike act,” by rule, is subject to a penalty. Georgia safety J.R. Reed, who hails from Frisco, Texas, saw plenty of Hook’Em Horn gestures growing up. He was asked if he’s practiced the horns down. Hey, Wright, how do you have a “national standard” for a signal that’s directed at a single school? Asking for SEC refs who’ve been just fine flagging teams for the Gator chomp. They’ve got a Pac-12 crew calling the Sugar Bowl, so that doesn’t exactly give me room for comfort.